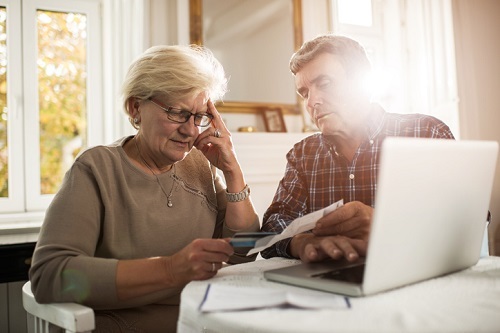 Advisors should be prepared to lose an account in order to protect vulnerable seniors from fraud or being taken advantage of by unscrupulous family members. Rona Birenbaum, financial planner and founder of Caring for Clients, has first-hand experience of dealing with wealthy seniors who suffer from cognitive decline and impaired decision-making. A recent study by the International Organisation of Securities Commissions concluded that seniors are at greater risk than other investors of falling victim to financial fraud, while the Ontario Securities Commission yesterday announced a Seniors Strategy and action plan to address issues of financial exploitation and cognitive impairment among older investors. Birenbaum said that vigilance is vital in making sure that the firm is comfortable with decisions and requests the client make. When it is not, searching questions need to be asked. One example, she said, involved a widow who started requesting bigger and more regular withdrawals. Suspicious, the company asked her in for a meeting. Birenbaum said: “It came out in the conversation that she had been participating in what was a lottery scam, essentially, where this organisation out of Australia was telling her she was going to win a lot of money if she just wired them this much. When the client started using her credit card to send more money, it was clear she was unable to trust herself and was told that, frankly, if she kept doing this, she would have to transfer her account. Another example led the company to actually lose an account. An ailing client had been placed in a care home and her son, who it turned out had mental health issues, legitimately took over as power of attorney. Withdrawals were requested but it was learnt that the money was not paying for her care as it should have been. The Toronto-based advisor believes Canada’s regulations around moving money are well designed to raise the antenna of concerned money managers, but that ultimately firms must put the needs of the client above that of the business. She said: “You have to be willing to lose the client. That’s the bottom line. Potentially, mistakes get made when the advisor puts retention of the account over protecting the client. Because a client who is under pressure from others or is being defrauded, but particularly when they are under pressure from other family members, will say, look it’s my money and I get to do with it what I want.